Designs 4 The Web offers Connecticut website services specializing in responsive WordPress websites and eCommerce solutions for small business. Professional websites that are attractive, user friendly and built using the latest in coding standards. Responsive website design is no longer an option as your customers will be using a phone to get to your site. Power your online store with the most widely used and powerful eCommerce platform on the web. On or Off-site WordPress training ranging from individualized video tutorials to whole staff training. Wouldn't it be nice to know someone is looking after your site while you focus on your business? 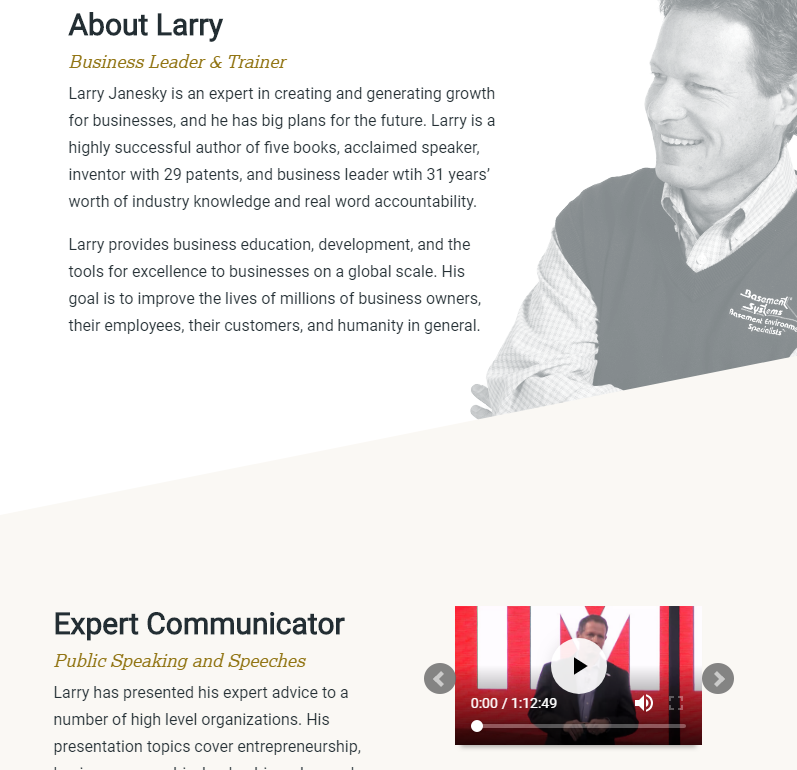 I recently had a 2 hour training session with Mike to help me learn the in's and outs of my companies new Word Press website so that we could update it in house. I basically had little to no Word Press knowledge prior to our training session but by the end I felt confident that I could handle the day to day updating that we required. I will be reaching out to Mike in the future to expand my knowledge of our site to maximize our sites potential to our members. Designs 4 The Web exceeded all of my expectations for creating a professional website/portfolio. Working with Mike was easy and he listened to all of my requests, in a timely and efficient manner. 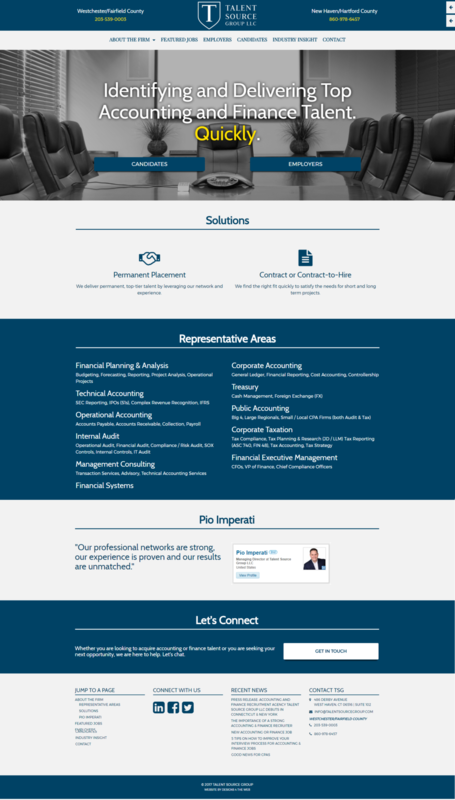 The end result was a high quality website, that really brought my brand and professional portfolio to the next level. I believe that Designs 4 The Web will help you or your business expand and be competitive in the digital market. I contracted them several times for web design and web hosting. Always professional and timely service. Very nice work and great to work with. They understood my vision. The Best. I was looking for a small co. to redesign my site. I came across Mike from Design 4 the Web. A true professional , the process was perfect and the end result was exactly what I was looking for. Thank you for the great work. 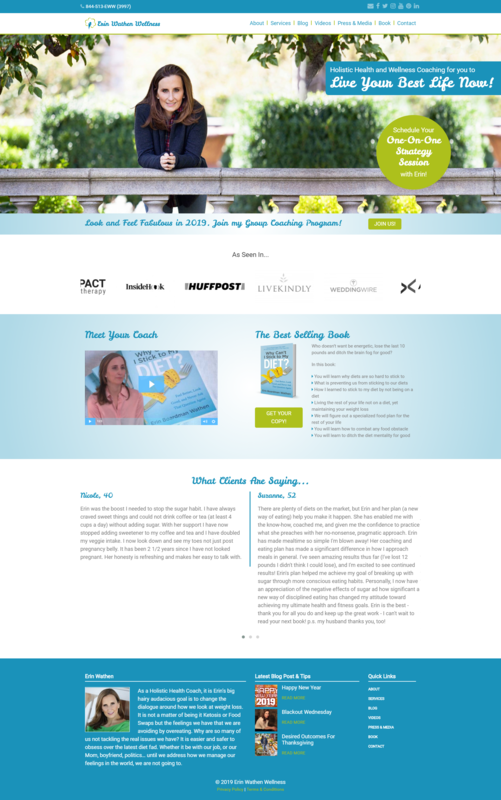 Mike did a tremendous job with my new website. He is creative, knowledgeable and fast. I would highly recommend him. I was in need of a local web developer, but I was nervous about getting taken advantage due to my limited knowledge in the space. D4TW ended up being the perfect fit, not only did they immediately reduce that anxiety but they FAR exceeded my expectations with finished website. Beautiful work. Since then I've used them for several projects, and each time same communication, skills, and quality. I can't recommend D4TW enough. Great service. Creative and on top of the challenges. Very responsive. Mike did two projects for us. He was fast and very responsive. The work came out great and we would use him again. Exceeded my expectations! As a Holistic Health Coach, it is Erin’s goal is to change the dialogue around how we look at weight loss. 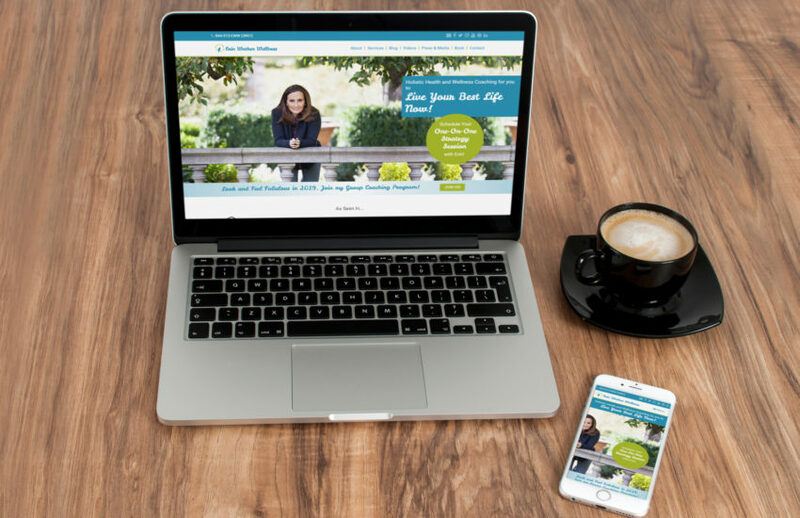 In order to accomplish her goal, Erin needed to relaunch her website in order to provide visitors with quick access to her programs and book information. This site was built using a number of custom pieces including a logo slider for press coverage, testimonial slider for all of the great reviews people have left on her book sites, a custom blog to feature all of her tips and content, a custom built video page which uses the YouTube API to pull in her most recent videos and populate a custom slider with thumbnails and a featured video. Also on the site is a new area on the site which includes all of the press coverage for Erin's book which is also featured prominently on her site. Overall this project breathes new life into Erin's brand and provided a much more user friendly experience for her potential clients. 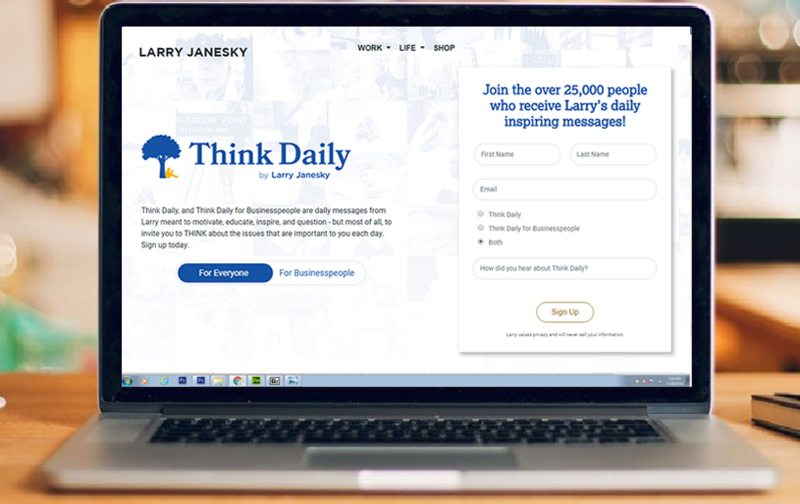 After working with Treehouse Internet Group on Basement System's founder Larry Janesky's website, Designs 4 The Web was quickly asked to take on another project building out the online space for the popular blogs "Think Daily" and "Think Daily for Businesspeople". With thousands of subscribers on iOs and Android it was time to give the blog an online home. This project included some tricky modal layouts and custom WordPress loops for each of the two blog categories. There is also a custom comment form and pagination to make browsing the archive effortless. Finally, some custom sign-up forms ensure that once you stop by you will continue to receive your daily inspiration right to your inbox! 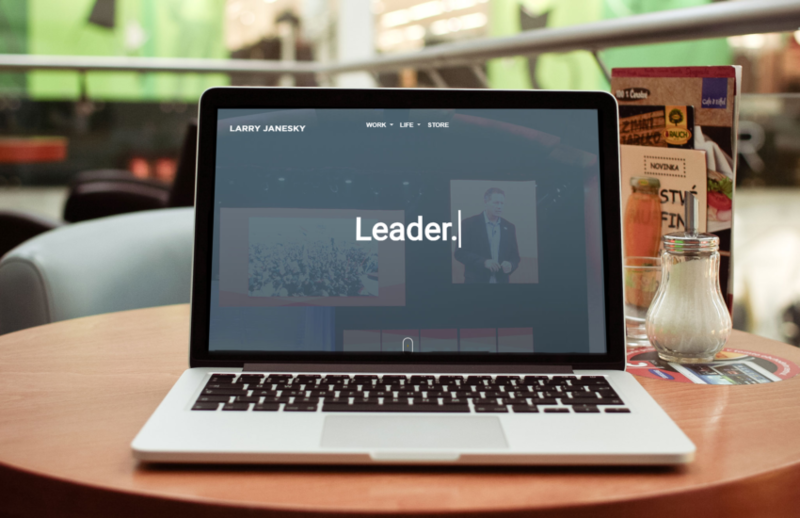 After years of working with overseas developers, the folks at Treehouse Internet Group reached out to Designs 4 The Web to inquire about an overhaul for their flagship website for founder Larry Janesky. This project was was built using WordPress from PSD (PhotoShop) files and incorporates a number of interactive sliders and features. 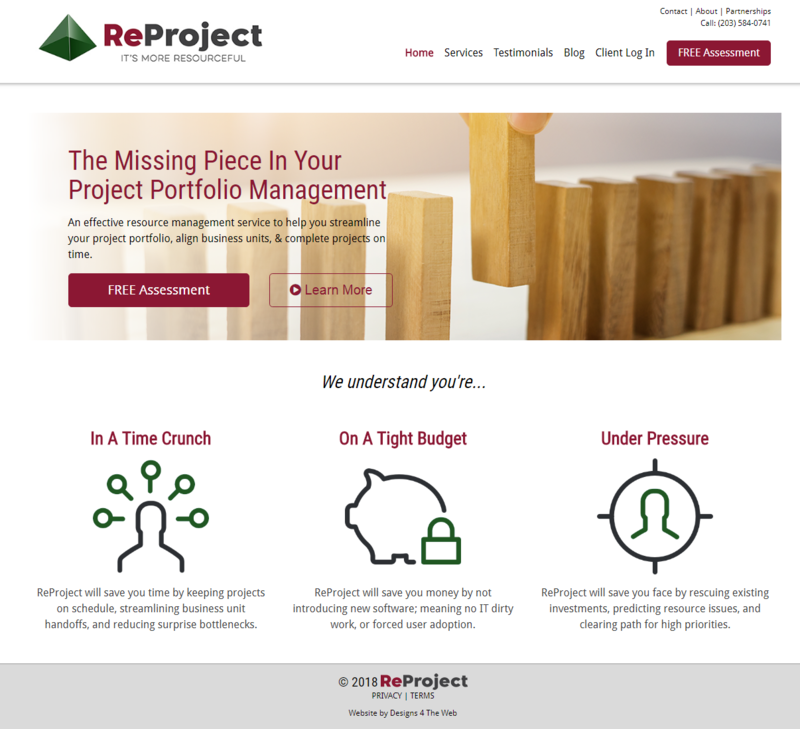 ReProject is a resource management service that helps businesses to streamline their project portfolio, align business units, & complete projects on time. 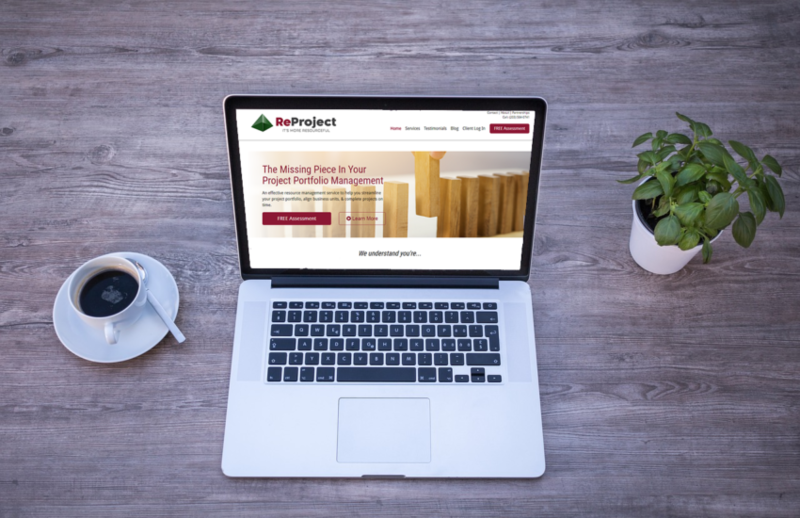 Owner Sean Gilshannon and project manager Doug Vigliotti contacted Designs 4 The Web looking to build out the site and ensure that the look and feel of the site matched their business goals and direction. This site build included a mobile and tablet version as well as some custom functionality which allows clients to login and view private resources. The ReProject site uses the custom built WP-Understrap theme which is based on Underscores and Bootstrap 4. 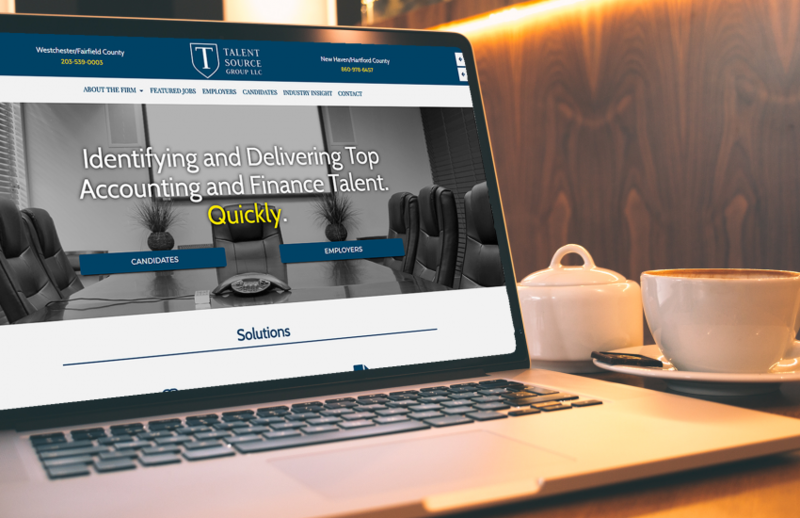 Talent Source Group LLC is a new recruitment and executive search firm specializing in the accounting and finance industries, serving employers and job seekers in Connecticut and New York. Owner and Founder, Pio Imperati contacted Designs 4 The Web looking to build out a clean, professional looking site which would include some custom functionality. One month after the initial discussion, the site launched without a hitch boasting a sleek mobile and tablet version in addition to the desktop site. Working closely with Pio, the project included custom fields which makes it a breeze for Pio to update on the backend. Additionally, the site contains a custom post type “Jobs” which allows Pio to create jobs for visitors to review. Taking it one step further, prospective clients can apply for a job directly on the site using the slide-down form. 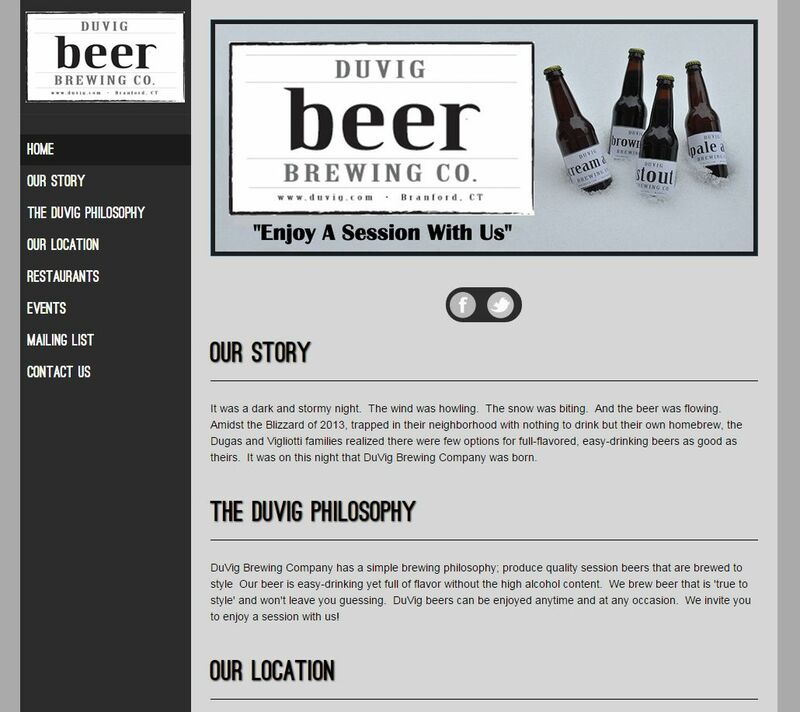 DuVig Brewery is an exciting new start-up located in Branford, CT specializing in craft beers. Owner, Dan Vigliotti recently contacted Designs 4 The Web with a tight window for for their website launch in order to have it ready for their Grand Opening. 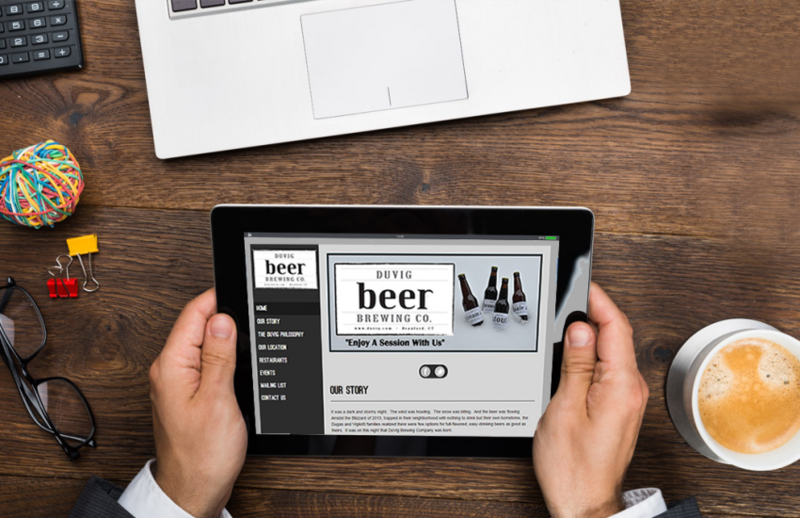 Within 48 hours they had a website that matched their simplistic ideals while still offering fully responsive content and a Mail Chimp integration that is sure to build up their list of thirsty visitors.